Memento Sculpture Park Budapest pictures, photos. 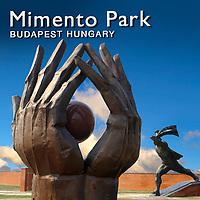 The Socialst and communist sculptures that used to be centre pieces of the great squares of Budapest are now in the Budapest Statue Park called the Memento Park. Our photo collection include photos of the statues including the well loved statue of the soldier Ostapenko who used to stand at entrance to Buda on main road from Vienna.